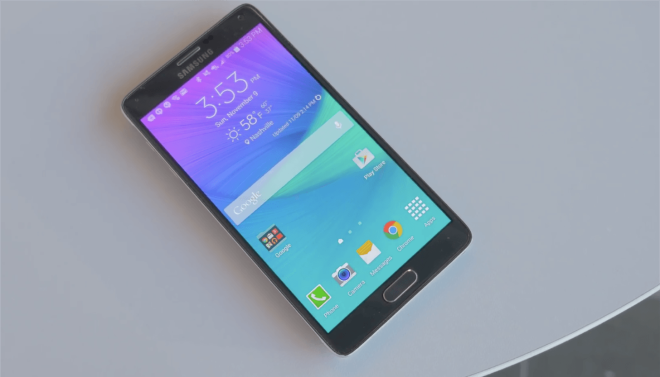 Samsung Galaxy Note 4 and Galaxy Note Edge owners, a new update is coming your way. T-Mobile has announced updates for its Galaxy Note 4 and Galaxy Note Edge that include the July security patches. The Galaxy Note 4 update will bump the phone to software version N910TUVU2EPG2 or N910T3UVU2EPG2, depending on which Note 4 model you have. The N910TUVU2EPG2 update is 309.9MB, while the N910T3UVU2EPG2 is 281.27MB. 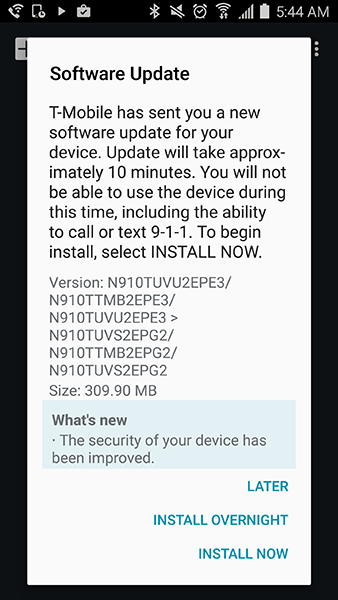 Meanwhile, the Galaxy Note Edge’s update will move the device to software version N915TUVU2DPG2. The update is 328MB in size. Security-focused updates may not be the most exciting things in the world, but they help to keep your smartphone and your data safe, and that’s very important. So if you’ve got a Note 4 or Note Edge, be sure to install your new update as soon as it becomes available. This is how it should be. At the very least security patches should release on time. Nice T-mo! Just updated my N4! This site is a much appreciated resource! Thanks!